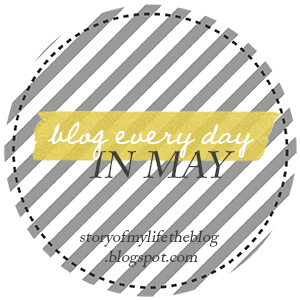 I didn't know about the "Blog Everyday in May" until.. yesterday? So I'm joining in late. It's such a good idea, and has so many thought provoking writing prompts. I've really enjoyed reading others posts. There's so many things I thought about writing for this one.. but I feel like a lot of things have already been said here and there. Don't let the fear of failure keep you from pursuing your goals. 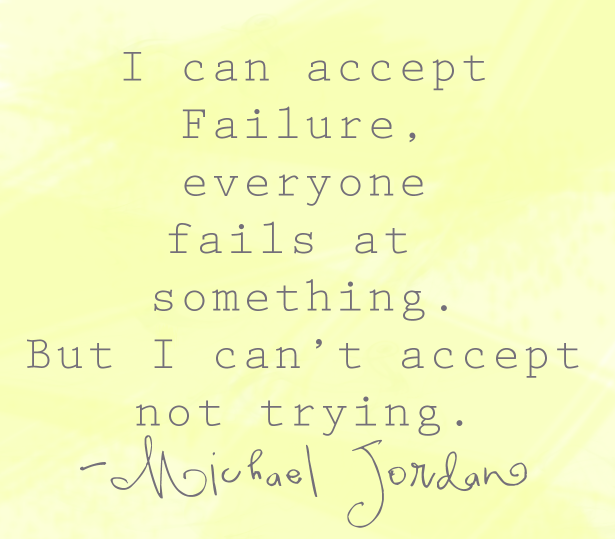 I have a fear of failure. I hate the unknown, and knowing that I could potentially fail at things I may unexpectedly encounter terrifies me. When I initially started college, I chickened out of my major and switched to a non-science major. I was afraid I wasn't smart enough to go the pre-pharmacy route. I didn't know anything about the science courses I would be having to take, I wasn't even sure about the path to get to pharmacy school and how it all worked. I let the fear of failure overcome my dream of pursuing pharmacy. I always seem to relate things to school, because I feel like that's my life right now. But this advice holds true for other settings too. Fear of pursuing a job because the interview process is intimidating. I don't like the idea of looking like a fool in the interview process, but letting that deter you from the job you desire? Your fear of failure is winning. Running a half marathon was something I always wanted to do, but I felt like it was just crazy. I wasn't capable of doing it. That's one of those things other people do, and I just always dream on the sidelines of doing it. I would never be able to set out and even run ONE mile, so never in a million years could I run 13.1. I let the fear of failure define what I was capable of. We are our own worst enemies. We talk ourselves down constantly, and a lot of times I think it's because we are scared of failure. YOU are capable of anything you set your mind to. Don't let those minor obstacles you encounter on the way to your goals count as failures. 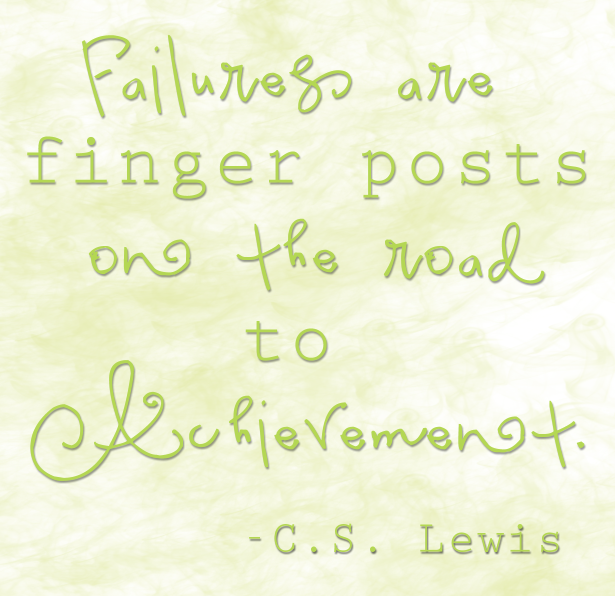 Failures and bumps in the road just make the end result THAT much better. Thankfully I switched my major back during my freshmen year of college, and I begin Pharmacy school in the fall. Challenges along the way have just made me appreciate where I've ended up THAT much more. And I know that it's not an easy road ahead. As for my fear of failure with running? I overcame that in November last year when I completed my first half marathon. Don't give up! Doors may slam in your face, but others will open. And it's better than never even trying in the first place. So encouraging, love this Leslie! I love this ... I might have to elaborate on my thoughts next week :) credit to you, of course! I love this! I'm so glad you are pursuing your dream of being a pharmacist and that you didn't let fear bring you down! What great advice. I was just telling the girl I am training to not be afraid to fail!! I think this blog everyday thing is a great idea!! I need to look into it and maybe start late! I love this piece of advice!! I'm, hoping, to run a half marathon May of next year...I'm starting NOW because I know it's going to be hard. I'm going to keep this advice in the back of my head when I want to give up!